One of the toughest tricks to master when it comes to makeup is learning how to properly contour your face. Learning how to do that is life changing and will forever shape the way that you make your purchasing decisions, allowing you to select the right makeup. To learn more about how to contour your face, all you need to do is follow these simple steps and make the correct purchases. This guide may be minimal, but it focuses on the truly important aspects that will have your face looking its absolute best. Draw a W on your face? Surely this is some sort of misprint, right? Wrong. 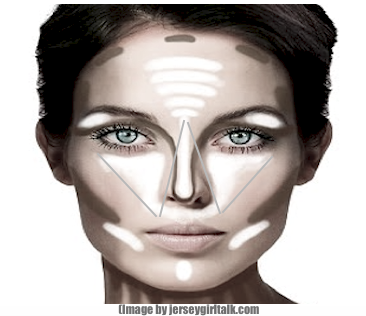 Troy Surratt is a celebrity makeup artist and he recommends the W drawing technique as a subtle alternative to some of the more overt facial contouring techniques that are typically recommended by the majority of beauty and fashion experts. The most important part of this tip? The W is not drawn on the face until after the foundation has been applied. The shape should be drawn on the woman's face with a bronzing powder. To start, sweep it down one of the cheekbones in a diagonal motion, all the way up to the bottom of the nose, then head back down and up to the opposing cheekbone. For the finishing touch, apply a stroke to your hairline. While this technique may seem exceedingly simple, the way to achieve the best possible results is to go for the most natural look. To obtain this, select a bronzing powder that is not too much darker than your skin tone. Steer clear of shimmery textures and aim for creating matte shadows. The center of the face should also be kept as luminous and light as possible, to maximize the skin's glow. A great finishing flourish? Use a pearly highlighter to dab the tops of the cheekbones, as well as the bridge of the nose for guaranteed gorgeousness. If you are ready to give contouring your face a try, remember that it's important to only use high quality products. They don't have to be expensive if you are a savvy shopper and look for special deals and promotions at such shops as Sears. 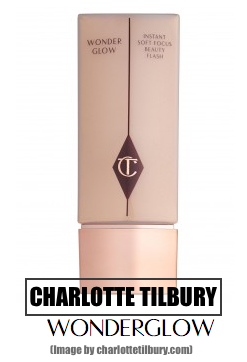 Charlotte Tilbury Wonderglow - this amazing product is powered by light diffusers. When you are trying to bring out your skin's most luminous qualities, using the translucent elixir provides a spotlight effect. 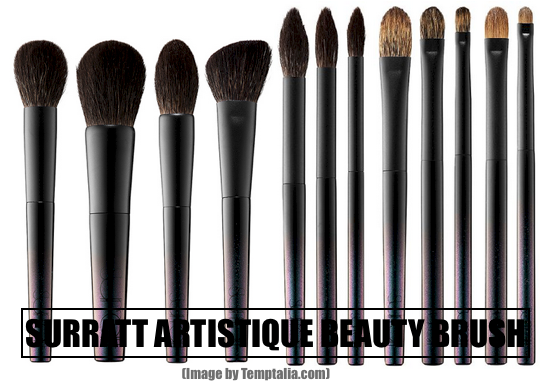 Surratt Beauty Artistique Sculpting Brush - Thanks to this brush, facial contouring is made easy, as it's tapered to hug the face's natural contours and add a light bronze dusting. 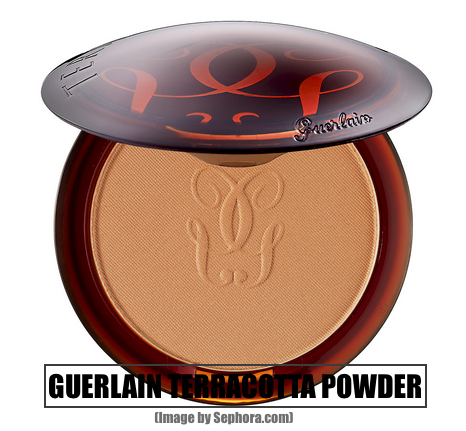 Guerlain Terracotta Bronzing Powder - This bronzing powder is considered to be a cult classic. Providing a variety of matte shades, the formula is forgiving, while remaining lightweight. 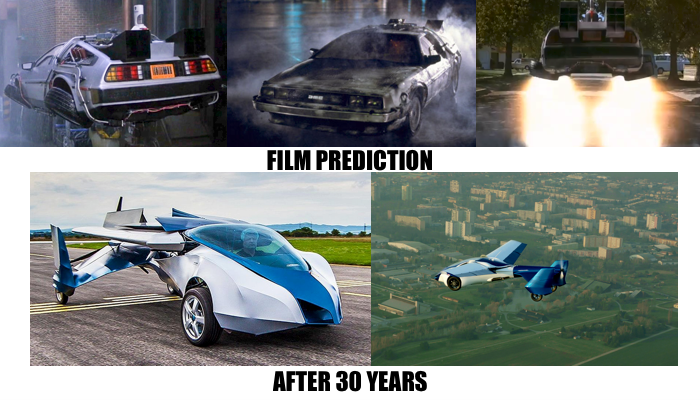 May some of us were not be born or aware yet since “Back to the Future” was released on July 3, 1985 and I’m less than ten years old when I first watch it to our Neighbor’s through VHS tape back in 90’s, who that time my youth is full of Culture Obsession from tom sawyer, peter pan, Robinson family and many more inspiring cartoons Brought to us by World Masterpiece Theater, but what 'back to the future' film different from all of that was the culture, merchandising and future image. the actual date used in the movie October 21, 2015. It’s a date that the Back to the Future movie trilogy. Marty McFly and Doc Brown travel to the future to help change the fate of Marty’s future family, and 21 October 2015 is almost upon us, Did they predict right? 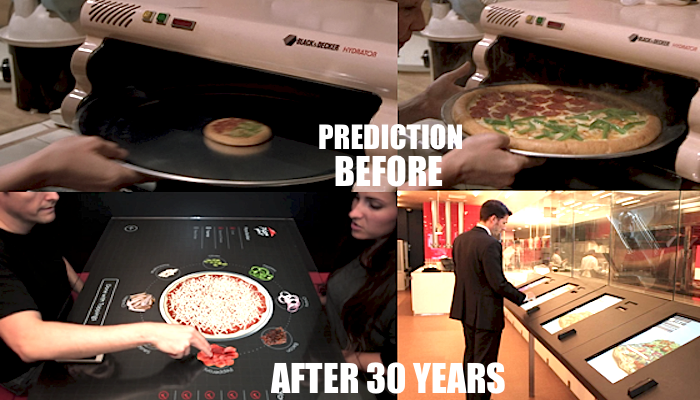 we made the list of future dream things Predicted from back to the future film who turns out to have a Similar things after 30 years. in the film, we see Marty ride on the floating skate board for the first time, they called it “Hover board”. 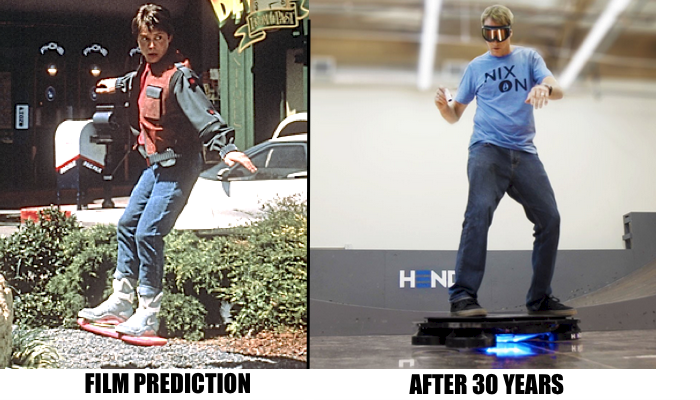 after 30 years There is a hands free scooter who have been referred too by many as hover board the “Hendo hover Board”. in the film, Bob Gale is a man who knows and invented the hover board, And Bob Gale has noticed and said, that the Hendo hover board are not hover board yet. 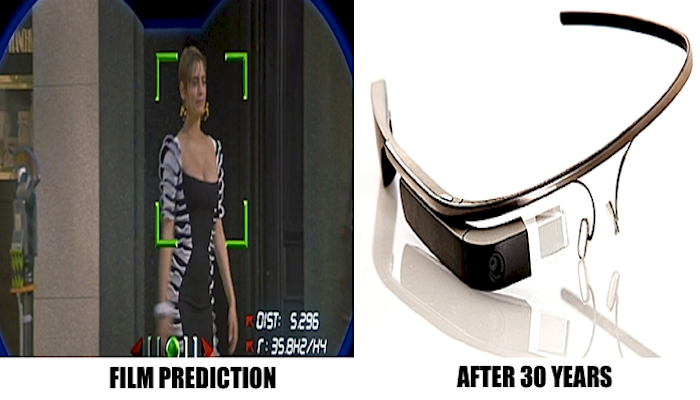 Doctor Brown uses the device in the film that overlays the information about anyone when they walk along, in Reality today, we see some stuff on our everyday smartphones, And also there are products like Google Glass and Hololens. Marty's parents bring tiny Pizza for dinner and then her mother put it in the Hydrator and second later suddenly the big pizza appear. 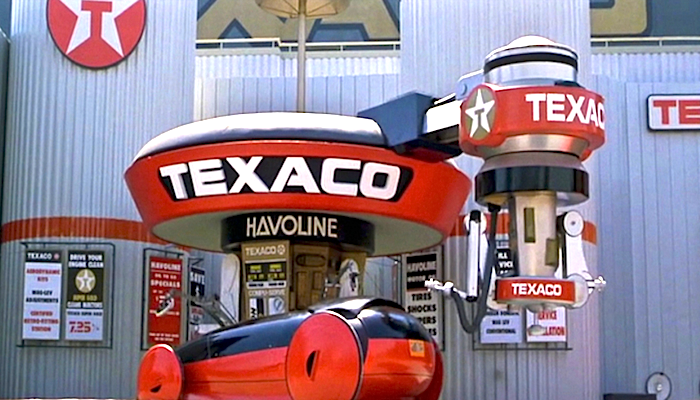 in the film, when the car stop it on, there is the Texaco petrol station with robotic attendant. in Netherlands last 2008 has been providing petrol to the people.